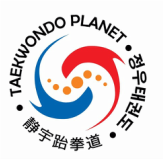 Taekwondo Planet is a premium Taekwondo dojang in Malaysia. We emphasizing on the traditional Korean martial arts practice, at the same time educate the student on the true value of Taekwondo. Well qualified instructors and comfortable dojang environment is the key we champion the Malaysia Taekwondo sports. Taekwondo sport isn't the ordinary sport that only benefited your health. It is the way of life. The systematic approach of Taekwondo sport has make the sport become well organized, learning from the basic all the way to black belt. It is a sports combined of fitness, discipline, mental health etc. Read More. If you posses the Kukkiwon black belt qualification, then it will be recorded in the Kukkiwon system in Korea. It will need your name, nationality and birth date to check your Dan status. Check out here.